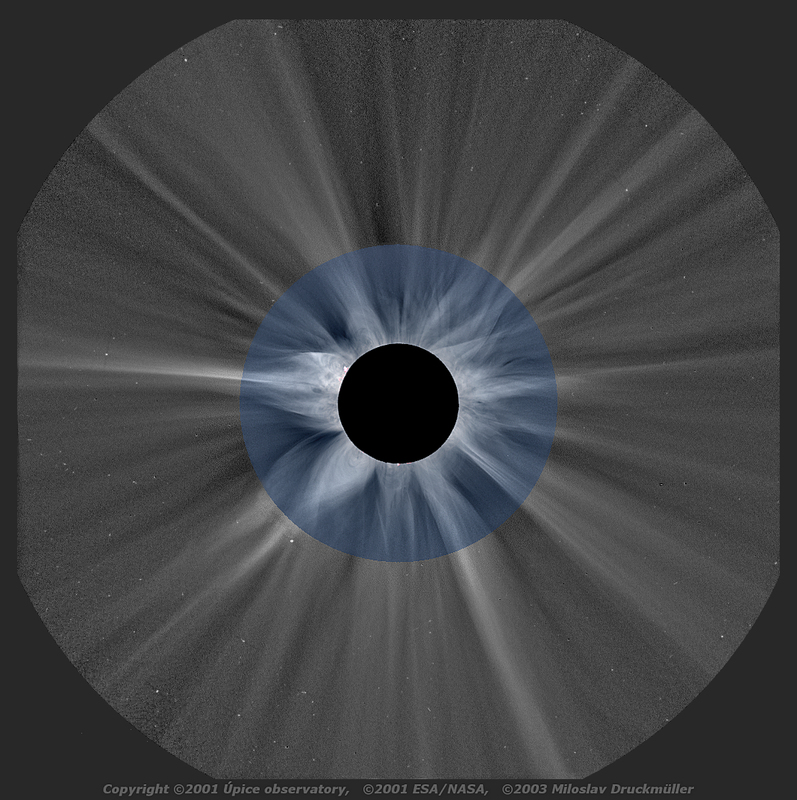 This image shows the corona structure up to six solar radii. It is impossible to obtain an image of such quality neither from ground based eclipse observations nor from SOHO LASCO C2 coronograph. Ground based observations are influenced by the Earth's atmosphere and the contrast of coronal structures in distance of six solar radii is so low that it cannot be significantly improved even by sophisticated mathematical methods. On the other hand SOHO coronograph has its "blind area" near the Sun up to 1.5 radii. This area is highly influenced by diffraction on "artificial Moon". 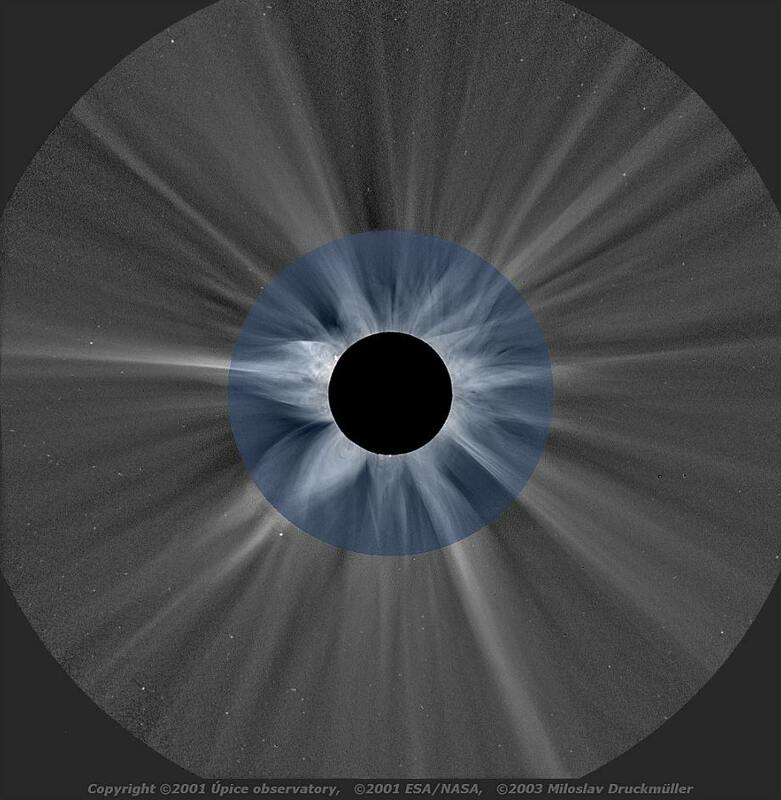 The combination of ground based eclipse image with SOHO C2 coronograph image gives a unique opportunity to create high quality image of middle corona. Processing Sum of 8 images enhanced by means of adaptive kernel convolution (color image) composed with SOHO LASCO C2 image taken at 12:34:14 UT.